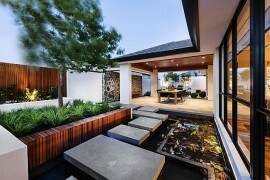 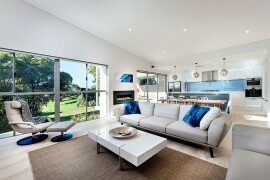 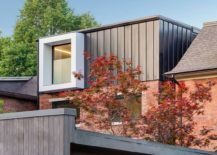 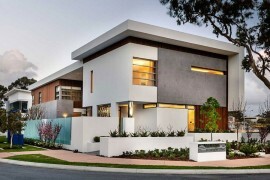 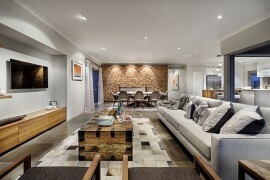 Riverdale Dormer House: A Touch of San Francisco Finds its Way to Perth! 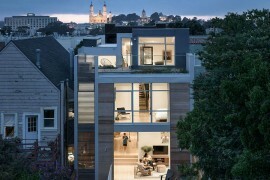 On first look the Riverdale Dormer House looks more like a fabulous residence with mid-century influence and contemporary vibe from a lovely neighborhood in San Francisco. 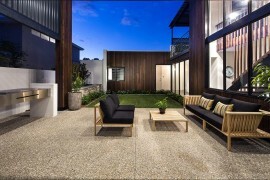 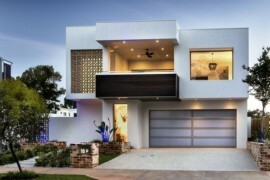 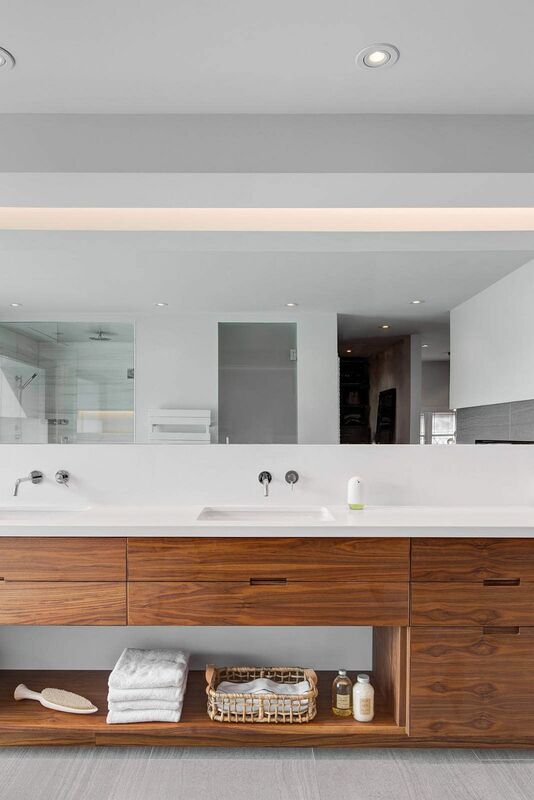 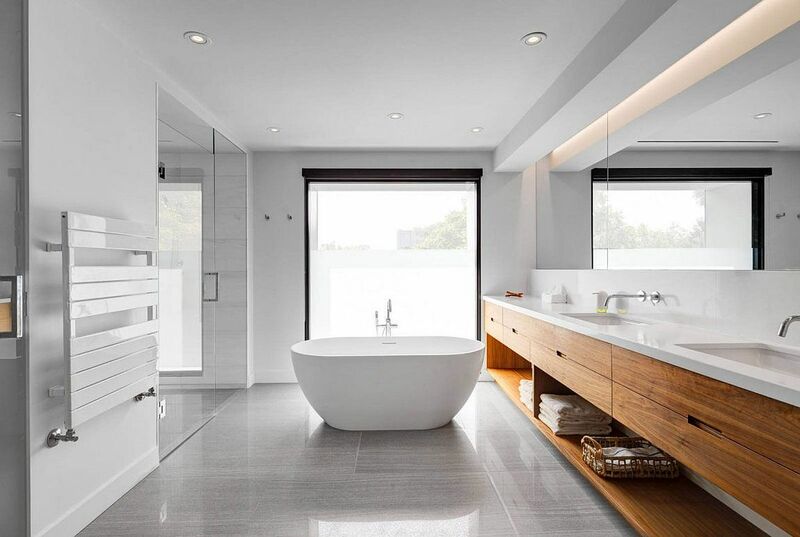 Yet, this exquisite contemporary home with brick walls and metallic sheen sits proudly in Perth and was crafted by Post Architecture to accommodate the needs of a modern family with active lifestyle. 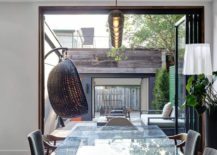 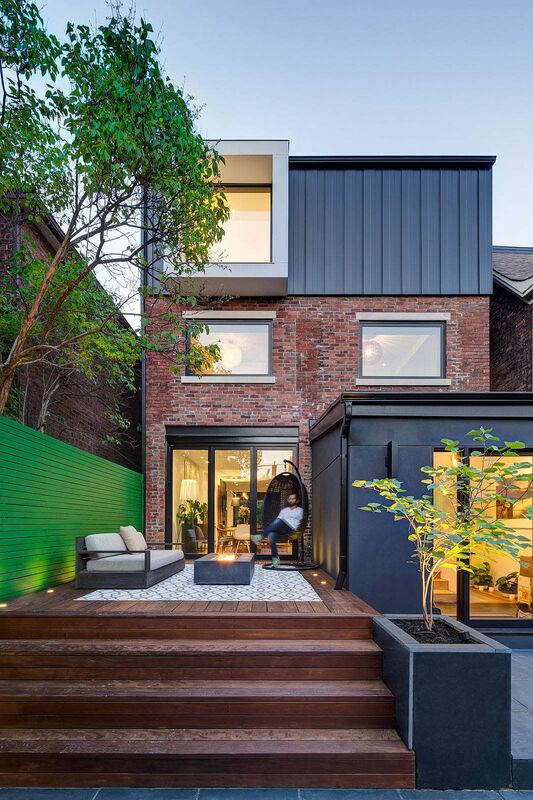 Despite a small backyard and a narrow footprint, the house features an interior that is both open and bright with ample natural light. 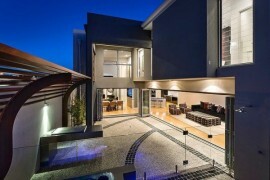 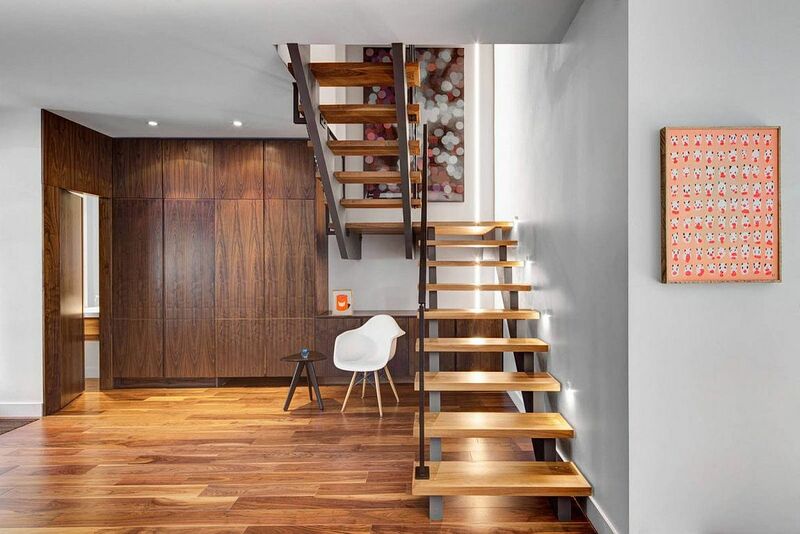 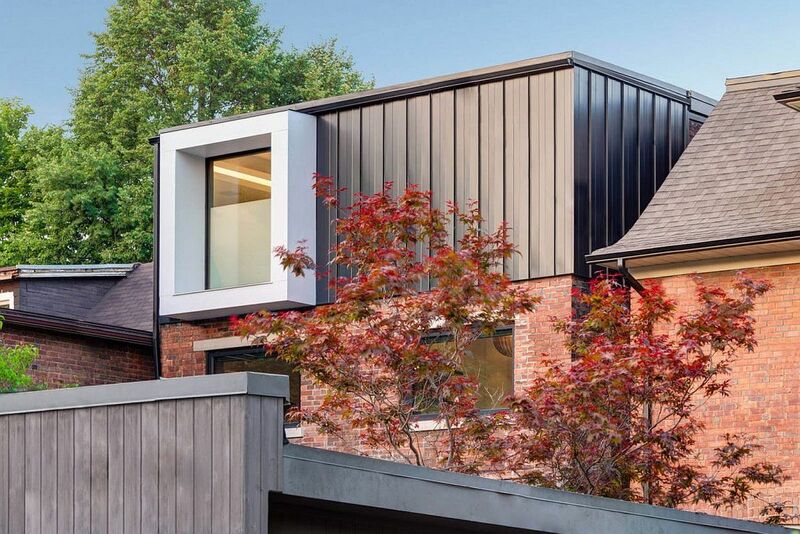 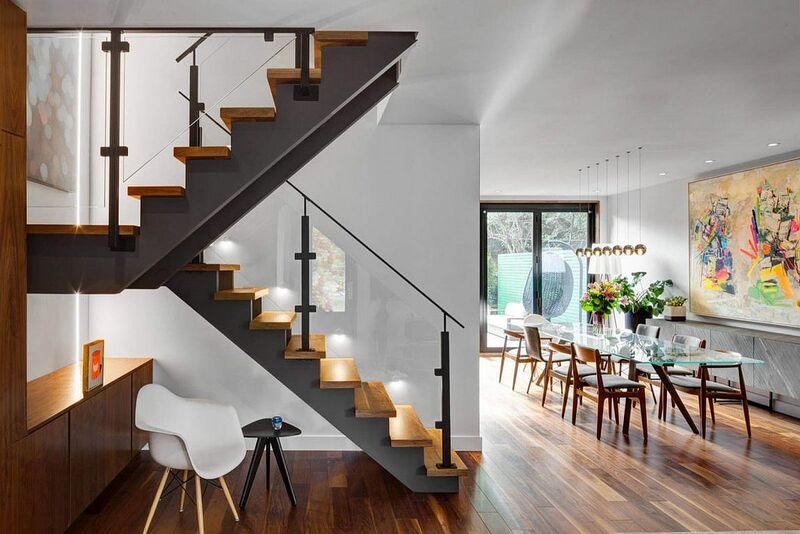 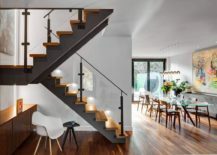 The multi-level house features an open plan living on the lower level with private spaces and bedrooms above. 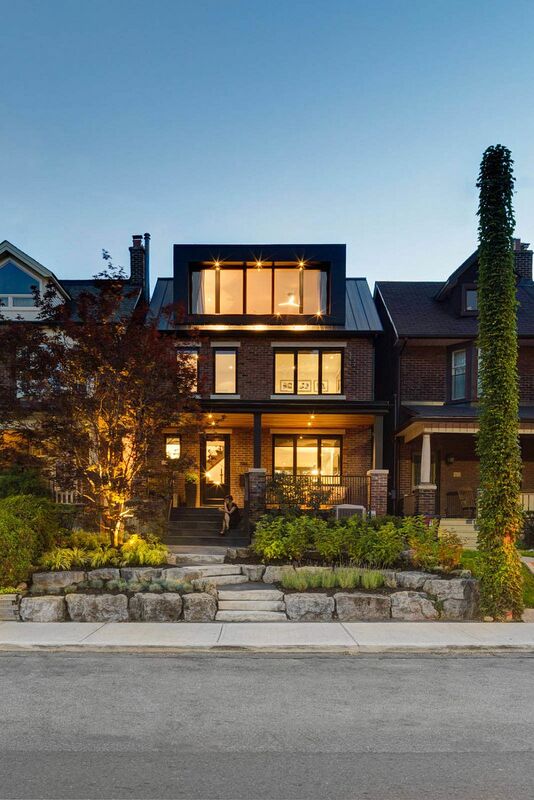 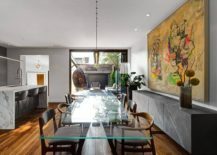 It is brick on the outside and wood on the inside that gives the home its unique look and create a blend of both stylish panache and a sense of warmth. 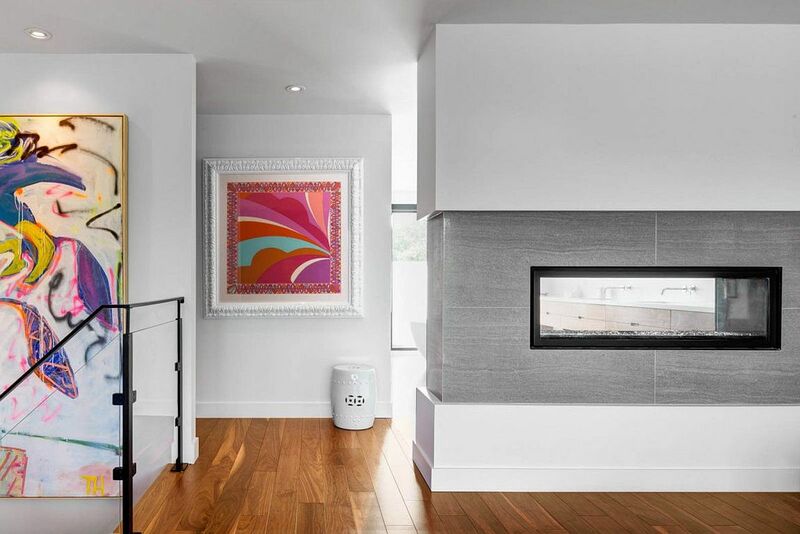 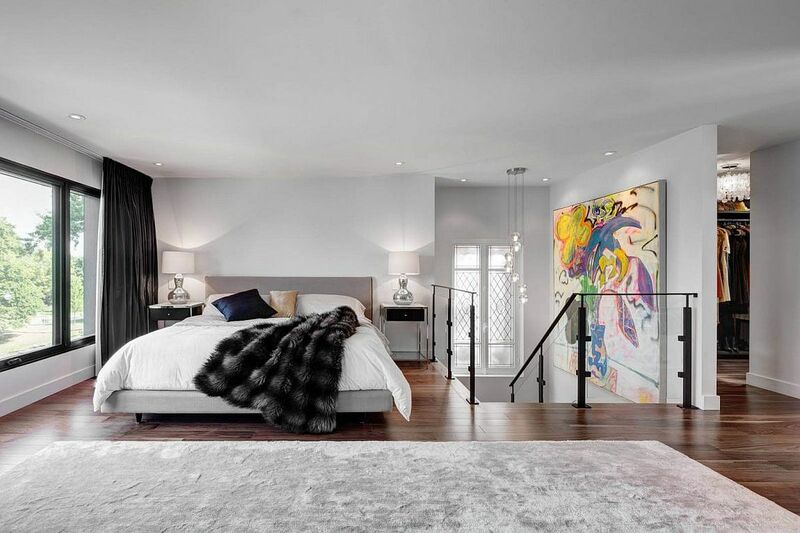 A neutral color scheme defines much of the interior with large wall art additions bringing in some much needed color. 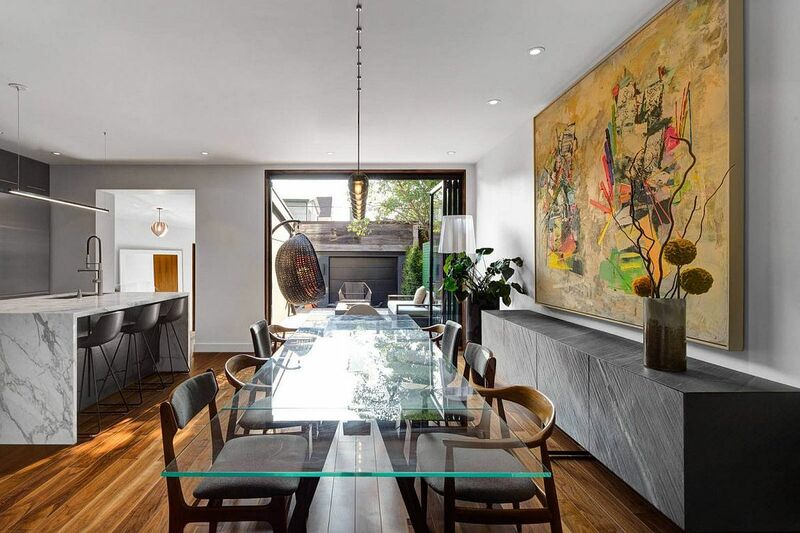 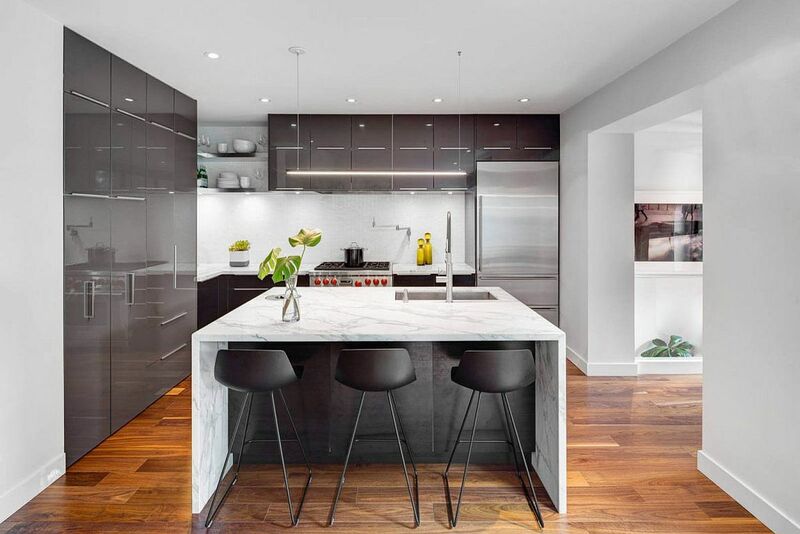 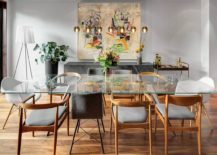 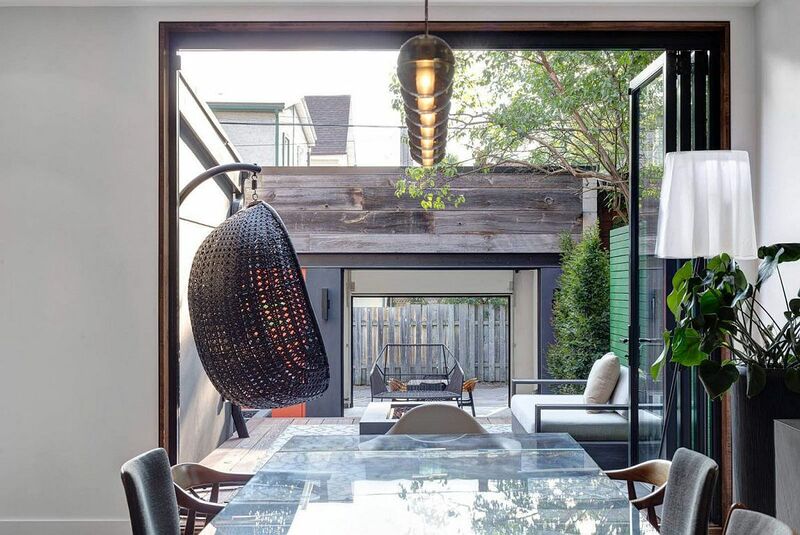 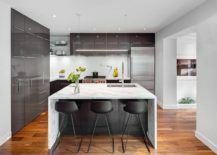 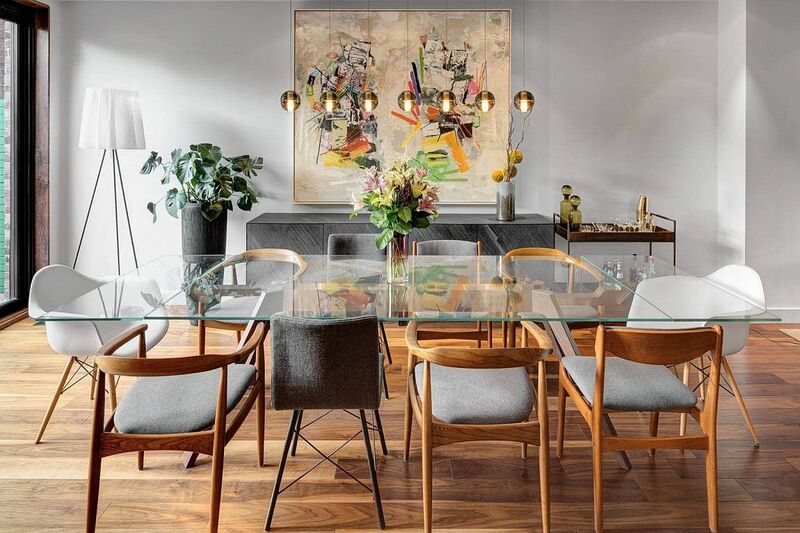 It is the dining room that acts as a transition zone between the interior and the small rear yard even as the living area and kitchen sit at the front.